Choice the appropriate filter can help you. We want to help you to IMPROVE the quality in your pieces, performance and productivity, and why not? The COSTS. Every day the market demands greater quality in our processes; for this reason many smelters use filtering systems in their processes. The casting system often not retain enough slag. 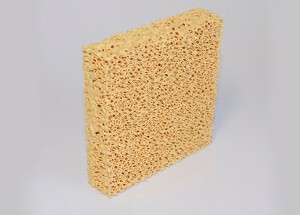 Higher speed and homogeneous filling of the mould. Oxides and impurities are retained. Without turbulence, stable casting line. Avoiding the slag, metal comes clean in the mould, so we obtain a piece free of non-metallic inclusions. 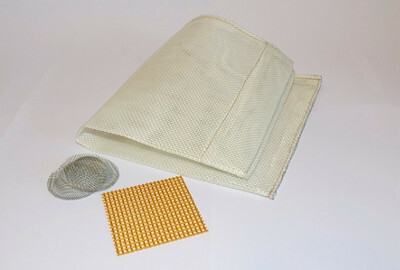 Ceramic filters appropriate for filtration in CAST ALUMINIUM, IRON & STEEL. 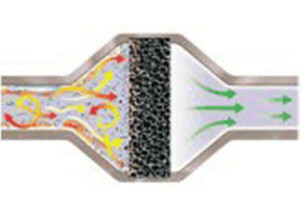 Allow the reduction of turbulent flow and retain oxide inclusions. Al2O3 20 ppi Pieces with problems casting. 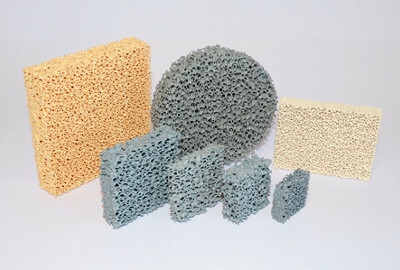 Al2O3 20 ppi Pieces of microcasting. SiC 20 ppi Pieces grey casting. SiC 20 ppi Pieces grey casting with problems. SiC 20 ppi Malleable cast Iron. 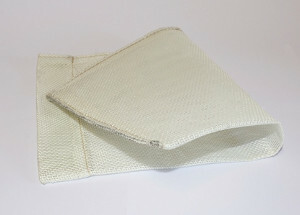 This type of filters is placed ate the exit of the casting furnace; for removing oxides and refractory large particles. They are used mostly in CAST ALUMINIUM. 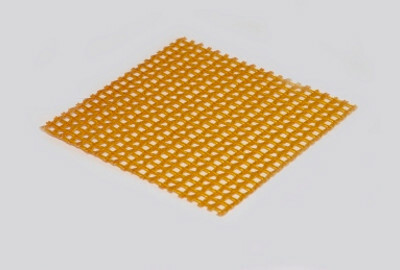 Refractory Woven Mesh Filters are also used in STEEL CASTING.